Pukwana, SD, March 13, 2017: The South Dakota Elite Walleye Series is proud to announce that Warrior Boats, Inc. has been named the main title sponsor for the upcoming 2017 season. “This partnership gives the South Dakota Elite Walleye Series and our anglers, the type of publicity that we all need to keep growing. I can’t thank Kent Andersen and the folks at Warrior Boats enough for stepping up to become our main sponsor. All of our sponsors have been great and are the ones that are truly responsible for getting us to the next level of professionalism here at the SD Elite Walleye Series ”, said series owner, Brock Dufrain. 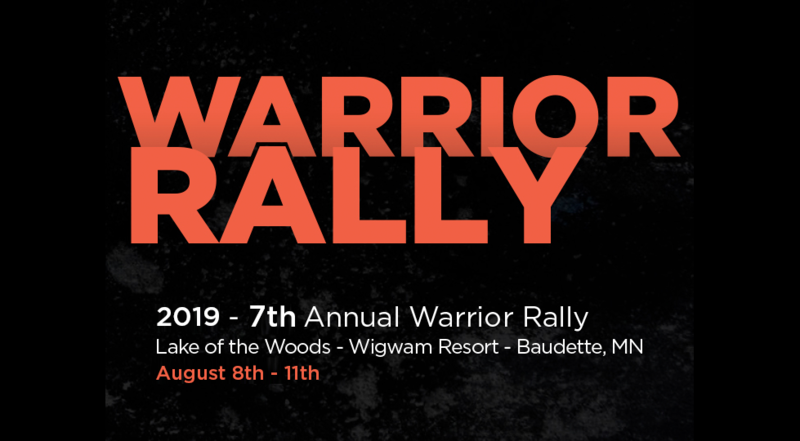 Warrior Boats joins the other series sponsors that include Scheels All Sports, Towtector, Great Lakes Marine, Lowrance, Mercury Marine, Smooth Move, Shore Lunch, NPAA, and SD Walleyes Unlimited. Dufrain, who lives in rural Pukwana, SD, said that each series event will be recorded this season and will be shown on Wild Dakota, a South Dakota based outdoor show. To Dufrain’s knowledge, this is the first South Dakota based professional fishing circuit that has been televised. Based in Melrose, MN, Warrior Boats, Inc. is owned by a group of dedicated anglers with decades of fishing experience who take a unique approach to their market. To ensure that they deliver the ultimate fishing experience to their customers, they don’t rush production. Instead, they prefer to focus on workmanship and their dedication to quality. The South Dakota Elite Walleye Series is a professional walleye circuit that operates in South Dakota. The series, which is in its third season, attracts both professional and non-professional anglers from a five- state area to compete in their events. Dufrain credits the anglers for making this tournament circuit successful. “It’s that anglers that make this series attractive to Warrior Boats. Our anglers are true professionals. They are all very competitive, especially on game day…many of them are good friends and are happy to celebrate each other’s successes at the end of the day”, he said. In 2017, the SD Elite Walleye Series has 6 one-day events on the schedule. Event sites in 2017 are Chamberlain, Big Stone Lake, Bitter Lake, Platte, Lake Sharpe and Lake Poinsett. The 2017 season concludes with a two-day championship which will be held in Pierre, SD. For more information on the South Dakota Elite Walleye Series or their events, please visit www.sdews.net.